When I saw these cute little duckies, I was immediately sold. I had to make all of them and didn’t want to publish before I finished them all. 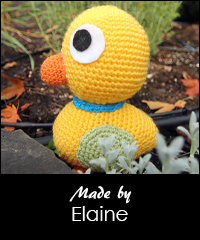 The duckies are less well known than the other Sanrio characters I’ve made so far. That’s why I couldn’t find many pictures of them. The duckies are good friends with Chococat and follow him wherever he goes. The duckies would actually be a lot smaller than Chococat, but I like them better when they are bigger. 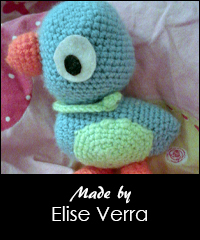 The amigurumi are about 12 cm high.